When you think of dating, don’t you also automatically think about sunny days? Let’s face it - sometimes it’s going to rain. Luckily, this doesn’t mean you have to take a break from dating. In fact, you can use the weather to your advantage and maximise the opportunities. Here are some of my unique dating expert suggestions that make you start hoping for a little rain every now and again. As with any online dating experience, you want to make sure you are having fun and creating a long-lasting memory. A little rain never stops children having fun, and you should take inspiration from them. Hang out at the local amusement arcade, go bowling or take a visit to the nearest pet shop. Not only will you both have a great time, you’ll bring back some wonderful memories of childhood that will make you smile all day long. In addition, this is a fantastic way to get to know the person you met on an online dating site a lot better. Cocktails or coffee are all well and good, but nowadays milkshakes are all the rage. Not just any milkshake, but full fat, pimped out super shakes that come complete with cake toppings. They are such great fun and provide wonderful talking points. Ask your Date to meet you at the local ice cream parlour and work your way through the menu. Many theatres have last minute tickets available on the day. These are the unfilled seats so you can often get the best seats for a fraction of the price. As long as you are open to what type of show you are going to see, you’re sure to find something fun that you’ll love watching. The more random it is then the more entertaining you’ll both find it, which means a better date all round. And what could be better than a spontaneous date with a special person you met on Zoosk​ or EliteSingles​? If you are feeling a little mischievous, why not play a little hide and seek? Go and visit a large department store and take turns trying to find each other. The seeker counts to twenty while the hider has to go off and “browse” somewhere unexpected. It’s a good idea to set a time limit and meet back in an agreed place, just in case things go a bit wrong! You really don’t have to hide away indoors just because it’s raining. Grab your boots and your raincoat, then head out to the local park or woodland. It’s much more fun when it’s raining and you’re likely to have it all to yourselves. For extra points, take along a basket with some hot food to have when you reach a covered part. Al fresco food in the cold is always a special experience! Picnics don’t have to be outside in the sun. Clear a space in your living room and put down your favourite picnic rug on the floor. Prepare their favourite finger food and crack open the champagne to set the mood. Dim the lights, fire up some candles and play some soft romantic music for an unforgettable date. If you do take part in any of these activities, it’s always a good idea to warn them in advance. That way they’ll be dressed up and ready to go. I hope you enjoyed reading these dating suggestions. 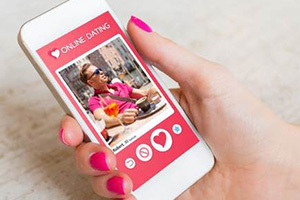 If you’re looking for someone to try out all these activities with, you should compare & check out these online dating sites.